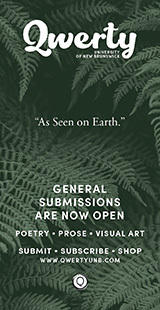 Congratulations to Joelle Barron (Vancouver, British Columbia), Tajja Isen (Thornhill, Ontario), and Kelly Cooper (Belleisle Creek, New Brunswick) on winning The Malahat Review’s 5th annual Open Season Awards in the Poetry, Fiction, and Creative Nonfiction categories respectively. Of Joelle Barron's winning poem, "A Girl Like This Might Have Loved Glenn Gould," judge Jeffery Donaldson said: "The speaker of this poem (waitress, Northern Ontario, 1966) becomes aware of a vitality and creative energy visited upon her in the form of an unusual artist; she begins to notice quirks and charms others around her have missed or rejected. I too might have been in danger, when I first read this poem, of missing something that was passing mildly before me, its soft-spoken hidden treasures, its patient weavings. I’m a sucker for knotted language textures, the surprising metaphor: this poem isn’t delivering in those terms, in fact knows that those would be inappropriate tones for the unassuming voice that speaks here, a voice that—uncertain, isolated—longs to make a connection, reach out for hands that aren’t reaching for her. The poem sits up at its greasy-spoon counter and recounts its tale, a kind of cryptic plain-speech, an inverted code, all the more puzzling for what it plainly says: 'Under a spell so the wrong ones can’t find it, / So can’t get saved,' as Robert Frost said. I admire how the syntax here shifts seamlessly between reportage on the one hand and revelations of the unspoken on the other. It reminds me of Gould himself, who famously hummed an obscure counterpoint beneath the artistic line we can’t help but hear. This poem’s counterpoint hums just as beguilingly beneath a story of failed connections." 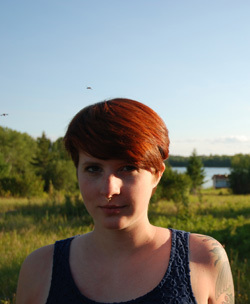 Joelle Barron is working on her MFA in Creative Writing at the University of British Columbia. She is originally from northern Ontario and is anxious to return and start a goat farm. 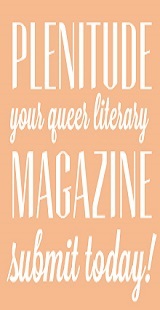 Her work has been published in Fugue Magazine. Jeffery Donaldson's fifth collection of poems entitled Slack Action was published this fall by The Porcupine's Quill. He teaches in the English department at McMaster University. Read an interview with Barron about her winning poem. Of Tajja Isen's short story, "The Anxiety of Influence," judge Yasuko Thanh remarked: "On the surface, 'The Anxiety of Influence' is a simple story: a few minutes in a car then in a waiting room. On the surface it’s a story about the difficulties of co-parenting a child. The voice is intelligent and sophisticated, wry, and if you look for it, maybe a little battle-weary. The cast is—cleverly—made up of a developmental psychologist, a once-upon-a-time English major, and their son, the actor, who’s a product of their educative theories. The story explores ideas about identity: how one’s selfhood can be manipulated for better or worse by a stronger ego. It deepens to explore the integral vulnerabilities of children, how no fences are adequate when it comes to the mindscape. Complicated, complex, and probing, this story fundamentally explores the question of what makes people who they are by implicating stagecraft, the field of cognitive development, and English literature. It’s complemented by a finely-honed structure with such balances and checks that would make any researcher proud. Its language certainly deserves our attention." Tajja Isen is a writer of songs and fiction. 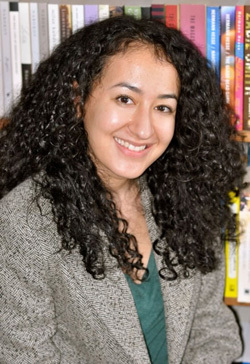 Her work has been published in Acta Victoriana, the journal of Victoria College at the University of Toronto, where she studied English Literature. She lives in Toronto, where she works as a musician and cartoon voice-over actor. Yasuko Thanh is the winner of the 2009 Journey Prize and a 2013 Arthur Ellis Award from the Crime Writers of Canada. 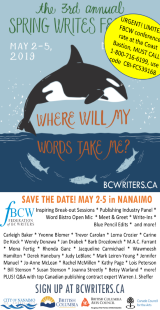 Her short story collection Floating like the Dead (M&S, 2012) was longlisted for the Frank O’Connor International Short Story Award, shortlisted for the Ethel Wilson B.C. 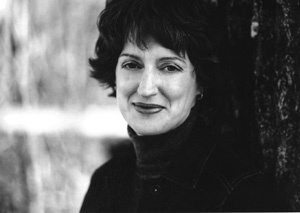 Book Prize, the Danuta Gleed Literary Award, and was chosen as a Quill & Quire Best Books of 2012. She’s been nominated for two Western Magazine Awards and a CBC Literary Award. She holds and MFA from UVic. She lives with her husband and two daughters in Victoria, British Columbia. Read an interview with Isen about her winning story. Judge Mark Abley had this to say about Kelly Cooper's memoir, "Ten Easy Steps": "This tough-minded piece was not the most subtle of the short-listed entries, nor was it the most tender, nor was it the most suspenseful. But the fury and sorrow that made 'Ten Easy Steps' a necessary piece for its author to write also help to make it a memorable experience for readers. No piece of writing succeeds, of course, on the basis of emotion alone. What sustains 'Ten Easy Steps' is the way in which the raw urgency of feeling that propels the narrative is moulded by its singular and convincing form. The piece compresses lifetimes and death times into a few pages, the fragmentary quality of each section matching and evoking the fragmentary nature of memory. By giving readers no more than snatches of information about the dead brothers, the author plays with our expectations. This is abrupt, high-wire writing that rises, at moments, to an unflinching grace." Kelly Cooper lives on a dairy farm in Belleisle Creek, N.B. where she writes and teaches visual art. Her linked collection, Eyehill (Goose Lane, 2004) was short-listed for the Thomas Head Raddell Fiction Prize and the Danuta Gleed Award for Best First Short Story Collection. Mark Abley is a nonfiction writer, poet and children’s author who has lived in the Montreal area for the past 30 years. Born in England, he grew up mostly in Saskatchewan and Alberta, winning a Rhodes Scholarship from the University of Saskatchewan. As a young man he lived in Oxford, London and Toronto before settling finally in Montreal. 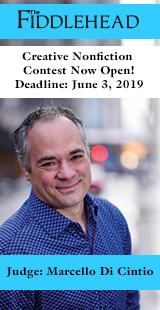 He won a National Newspaper Award for his critical writing in the Montreal Gazette, and was short-listed for both the Writers’ Trust Nonfiction Prize and the Grand Prix du Livre de Montréal for his 2003 book Spoken Here: Travels Among Threatened Languages. His other nonfiction books include Beyond Forget: Rediscovering the Prairies, The Prodigal Tongue: Dispatches from the Future of English, and most recently Conversations with a Dead Man: The Legacy of Duncan Campbell Scott. In 2015 Coteau Books will publish a book of his new and selected poems. Read an interview with Cooper about her winning memoir. 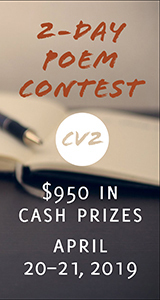 All three winning pieces will be published in our Spring, 2014 issue (#186), due out at the end of April, 2014. Michael Prior, Fred Biggar, Barbara Schott, Deanna Young, Owain Nicholson, Amanda Merritt, Stan Rogal, Dimitra Xidous, Brent MacLaine, Russell Thornton, Josie Di Sciascio-Andrews, Glenn Hayes, Sue Chenette, Barbara Pelman, Bibiana Tomasic, Larissa Andrusyshyn, Alexis Marie Chute, Larissa Thompson, Cynthia Woodman Kerkham, and Cornelia Hoogland. Gail Marlene Schwartz, Jane Callen, Mark Roosma, Robert James Hicks, Kevin Hardcastle, Sandra McLean, Sherry Cassells, Erin Soros, and Laisha Rosnau. Leslie Hill, Trevor Corkum, Kirsteen MacLeod, Julia Zarankin, Nancy Branch, and Rena Graham.